You are here: NECAOnline.com » Blog » Contests » Planet of the Apes Caption Contest Winner Announced! Posted in: Contests- Jul 07, 2014 Comments Off on Planet of the Apes Caption Contest Winner Announced! Our Classic Planet of the Apes “Win ‘Em Before You Can Buy ‘Em” Caption Contest has come to a close, and although it was hard to pick just one from all the fantastic entries, we do have a winner! Laki will be receiving his figures soon, but don’t fret if you didn’t win! You can still pick up Series 1 when it arrives in stores in July. We had a ton of fun with this contest, and we hope you did, too. Head over to Facebook or Twitter and let us know what you thought, and what other kinds of contests you’d like to see! 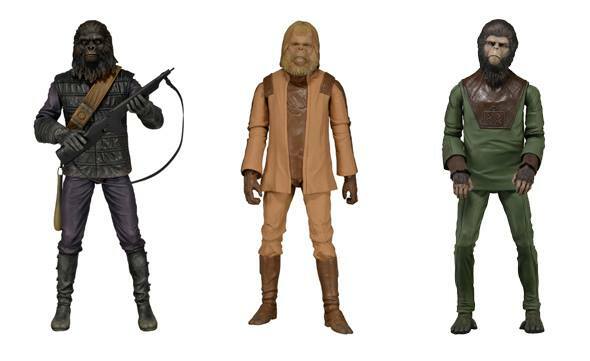 CONTEST: Predator Series 9 Action Figures – Win ‘Em Before You Can Buy ‘Em! CONTEST: Win a Predator Trophy Wall Diorama & Limited Edition Skull Pack!